On July 11, the Richland School Board voted 4-1 to bring Sherman Alexie’s young adult novel The Absolutely True Diary of a Part-Time Indian back to all its high school classrooms. This welcome action reversed the board’s vote in June to exclude the novel from all high school classrooms after it was piloted for the 9th-grade curriculum. The board had banned the book upon receiving mixed reviews on it from the district’s Instructional Materials Committee (IMC); some IMC members objected to profanity and potentially offensive aspects of the book. But after learning that not all IMC members had actually read Alexie’s award-winning novel, school board members decided to read it for themselves. A board member who originally voted to ban it said he found the novel to be “outstanding.” Board members acknowledged the value of its uplifting theme of perseverance. A Richland teacher who runs a support group for students from tough backgrounds noted the tremendously positive impact the novel had on one of her Native American students. The teacher said of her student, "It changed his life. It made him understand his heritage and his issues with his father." The book ban reversal is heartening, especially because of the novel’s positive message for at-risk and troubled youth. 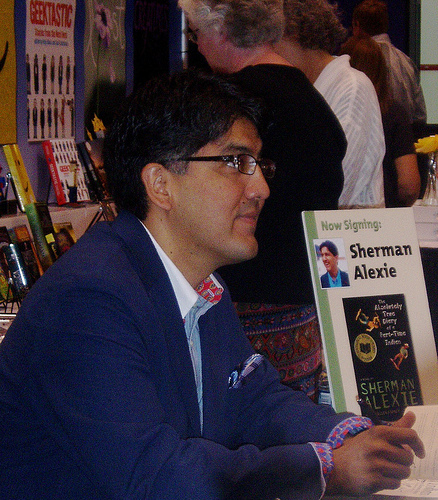 Students with histories of poverty, abuse, or neglect, like some of the characters in Alexie’s novel, are especially vulnerable to being pushed out of the education system into the juvenile justice system. Novels like The Absolutely True Diary of a Part-Time Indian can make a big difference in a high schooler’s life.